This summer, challenge yourself to an outdoor activity: standup paddleboarding (SUP). It’s easier than surfing, provides a full body workout (you can even incorporate yoga), and it gives you the opportunity to find peace amidst some beautiful sights on the water. 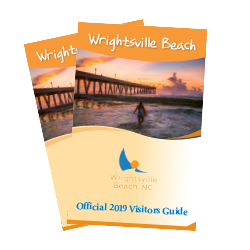 If you’re intrigued, set out for a journey to a place where watersports reign supreme: Wrightsville Beach. Named one of the best “SUP hubs” in the country by Outside Magazine, the most accessible beach in the state attracts professionals like N.C. native April Zilg, along with amateurs and novices to experience its crystal blue waters during international competitions or simply on their own. April got into standup paddleboarding after making a decision to live a healthy lifestyle. After trying SUP one time, she knew it was for her and now makes a career out of paddling her way through SUP competitions like Carolina Cup, an international competition held at Wrightsville Beach every year. The beauty of taking your first stab at SUP in Wrightsville Beach is the number of lessons or camps available to you. April shares that you can watch all the YouTube videos in the world, but a lesson will get you moving on the water faster and more efficiently. To get the right board and have your best shot at a successful, relaxing and fun time out, book your 101 and rent a board with Wrightsville SUP or Cape Fear Paddleboarding. After paddling your day away, set out for a post SUP treat. April says, “There&apos;s nothing like loading up your board and indulging in a cold Acai Bowl from SurfBerry.” The surfer and SUP favorite locale also has smoothies and cold pressed juices that will fuel you up after your time on the water. Other post-SUP locations include SUNdays Café for a caffeine fix or Poe’s Tavern for a pint.